I’ve been a fan of Power Rangers since the franchise started back in the 90s. Throughout the years, my sons and I have watched countless episodes. We bought the ranger action figures, the giant robot toys, a whole mess of morphers, Halloween costumes, and plenty of video game tie-ins. 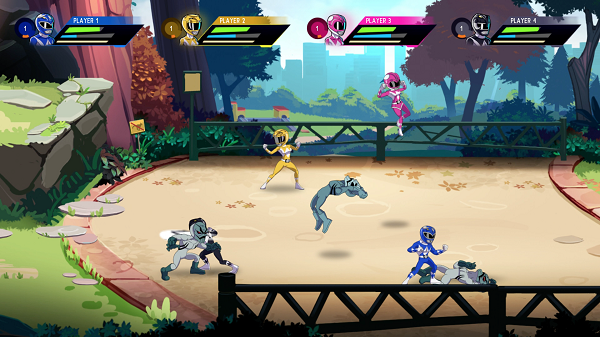 Upon hearing the news of a new Power Rangers game, a retro-style brawler featuring the original team, we made plans to play through it co-op style together. At first, it went pretty well, but it didn’t take long for the “new shiny” to fade, and we were left with a most un-morphinominal experience. The first thing you’ll notice about Mega Battle is the art style. All five teenagers with attitude are rendered in a cartoony, super deformed look. Given the superheroic themes of the source material, this comic book style makes lots of sense. It looks great while you are playing. Cut scenes are especially bright and bold, but unfortunately not entirely voiced. The sound effects and music are very reminiscent of the original show, and playing the game feels as if you have stepped into a cartoonized version of the series. 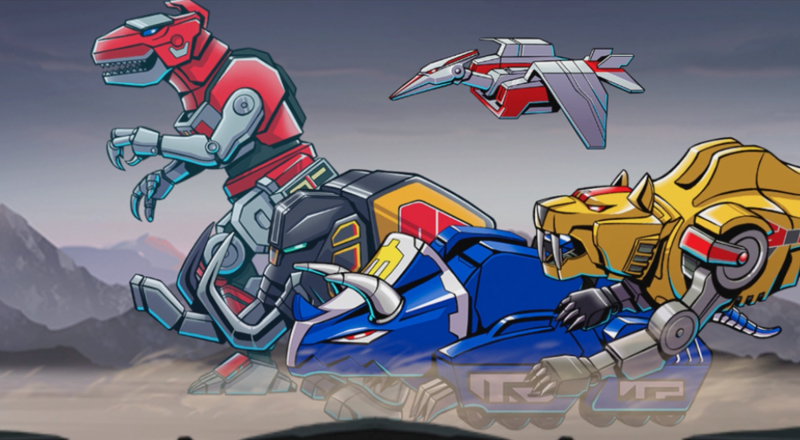 Four local co-op buddies are supported (sadly, there is no online play) and once you pick your Rangers, the action begins. You start in unmorphed, regular teenager mode, but smacking bad guys around earns energy which can be spent to morph into fully costumed glory. Beginning a session of Mega Battle in unmorphed mode matches the source material, but it has some troubling implications. If you quit and come back to the campaign later, you’ll have to save up that energy to morph again. An annoyance at first, but we’ll revisit this issue later on in the review. Once you’ve morphed into Power Ranger mode, things really start cooking. You’ll take down oodles of minions, starting with lowly Putties, then working your way through tougher foes. As you play, you’ll earn experience, leveling up, and also Ranger points that can be spent to upgrade your abilities. It’s very familiar brawler territory here, but I was honestly surprised at how deep the upgrade system is. There are dozens of ways to spend those Ranger points. You can learn new moves, make yourself stronger or tougher, and even purchase attacks that allow you to team up with your fellow Rangers. Generally speaking, though, you mostly punch and kick your foes, whether you’re on the first level or the last. Page created in 1.1088 seconds.